Another light food served during Holy Week, Champorado (Spanish: champurrado). 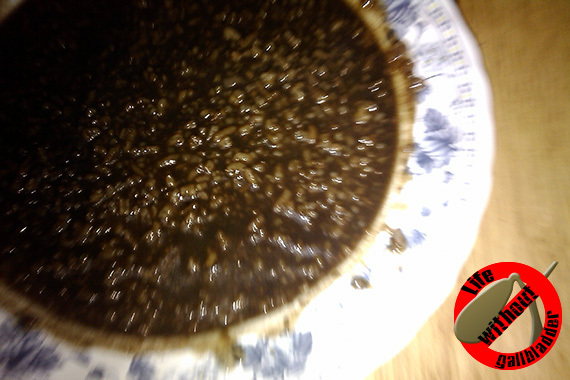 It is a sweet chocolate rice porridge – a rice cooked with cocoa powder. To make it tastier, sugar and milk are added. This was my snacks on Good Friday, courtesy from my in-law. 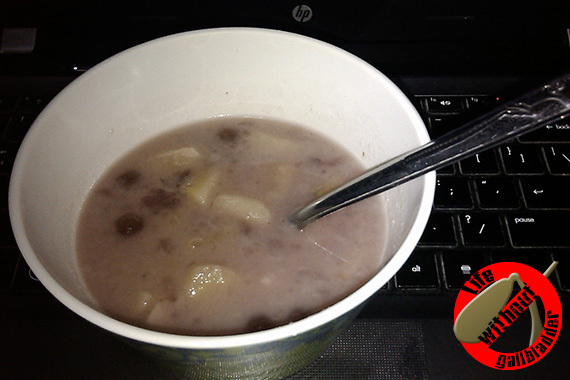 This local Cebuano dish is made of bananas, sweet potato, taro, landang (palm flour jelly balls), and pearl sago. It is cooked with water, coconut milk and sugar.